Whether you’re just starting out, or a seasoned pro, the Teaching and Learning with Technology (TLT) / Adobe Digital Photography Event is an opportunity to hone your skills in digital shooting and photo editing. Featuring expert instruction from Adobe’s own Julieanne Kost – an accomplished professional photographer – you will learn and practice important techniques, and explore editing options in Lightroom and Photoshop to best enhance your photos. 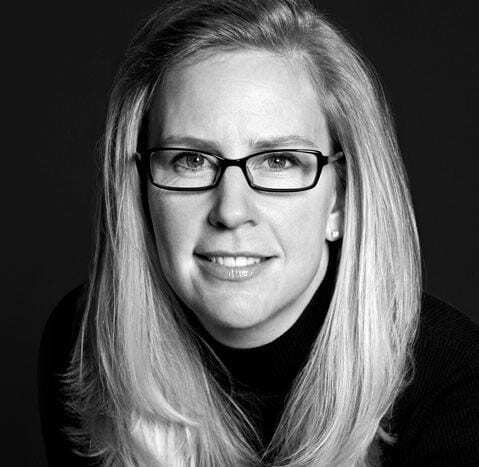 Named one of Fast Company’s “100 Most Creative People in Business,” Julieanne Kost is a Principal Evangelist at Adobe Systems, responsible for fostering relationships with customers through meaningful and inspirational Photoshop and Lightroom instruction. As a highly sought-after speaker, she devises and presents motivating and educational training sessions, sharing original techniques and tutorials worldwide — via live events, Adobe.com, her own website (jkost.com) and blog. She is also an author, an accomplished photographer and fine artist, and creator and host of the popular Photoshop CC Essential Training and the Art of Photoshop Compositing for Lynda.com. Kost is well-known for her unique approach to instruction, infusing practical tips and tricks with an equal amount of humor and creativity that keeps audiences entertained and engaged. She often serves as a guest lecturer at distinguished photography workshops, industry events, and leading educational institutions around the world. Kost has been recognized for her outstanding service and contributions to the professional photographic industry, winning the Gerhard Bakker Award from the Professional Photographers of America, the Honorary Educational Associate Award from the American Society of Photographers and was inducted to the Photoshop Hall of Fame by the National Association of Photoshop Professionals. When (and where) is it? This two-day event will take place Wednesday, September 19th and Thursday, September 20th, 2018 in the Hintz Family Alumni Center, starting at 9:00am and running up until 5:30pm most days. Please find a full Schedule of Events here. We hope you can join us for the whole event, but you can also register for just the sessions that fit your schedule or meet your interests. A Keynote presentation by Julieanne Kost – Cultivating the Creative Spark – will also be held on Tuesday, September 18th, from 4:35pm – 5:50pm in the Palmer-Lipcon Auditorium @ The Palmer Museum of Art. To learn more about the Keynote, please click here. Have some edited photos from the event that you're particularly proud of? Get your photos in front of Julieanne! Students and faculty of all disciplines, interested in improving their own photography. Whether you shoot on a smart phone or DSLR, there will be tips, tricks, and hands-on experiences to help you take better photos, edit those photos and tell your story. Please bring along a smartphone with a built-in camera. For the photo editing portion of the event, please also bring along a laptop with Adobe Lightroom (CC, Classic, or both) and Adobe Photoshop already installed. Don’t have Lightroom or Photoshop? No problem! Penn State students and faculty now have free access to a fully-featured Adobe Creative Cloud Account, which includes most Adobe programs. You can sign up for an account at adobe.psu.edu. Students will develop and utilize creativity and curiosity to explore and engage with the world in productive ways. Students will be able to visually tell a story and clearly communicate their work. Students will develop technical media skills using powerful Adobe tools, such as Photoshop and Lightroom. Are you an instructor looking to have your entire class attend? How can this be used in class? This event will be a very unique and educational professional (and personal) development opportunity for students and faculty! Since it is a two-day event, perhaps think about encouraging students to attend – in lieu of coming to class – and incorporate it into your syllabus.